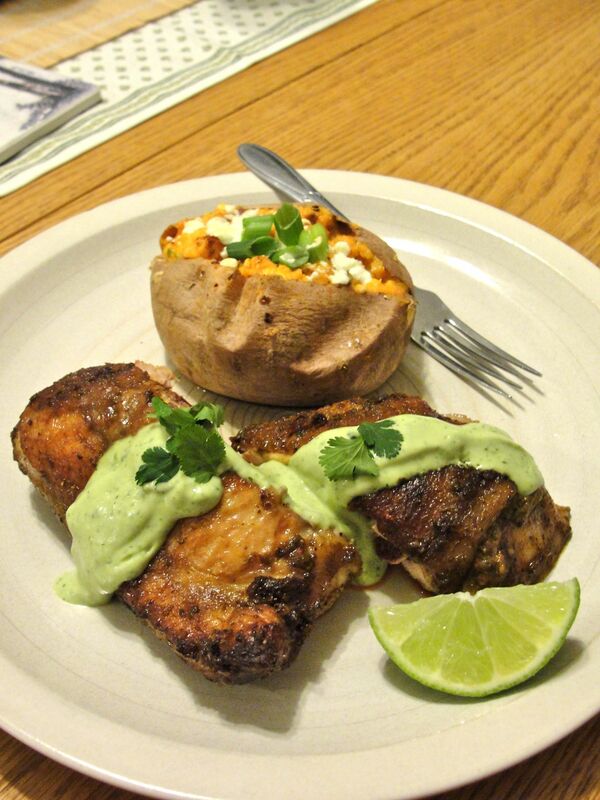 Here’s a delicious side item that I made them to accompany Peruvian Baked Chicken. It is said that Peru is an incubator of vegetable genetic diversity, with some 8000 varieties of potato alone (although not so many are sold as produce) and the Sweet Potato being one variety found to have been there for thousands of years. Wash the potatos and scour, but do not remove skin, except were blemished; also remove and root fragments. 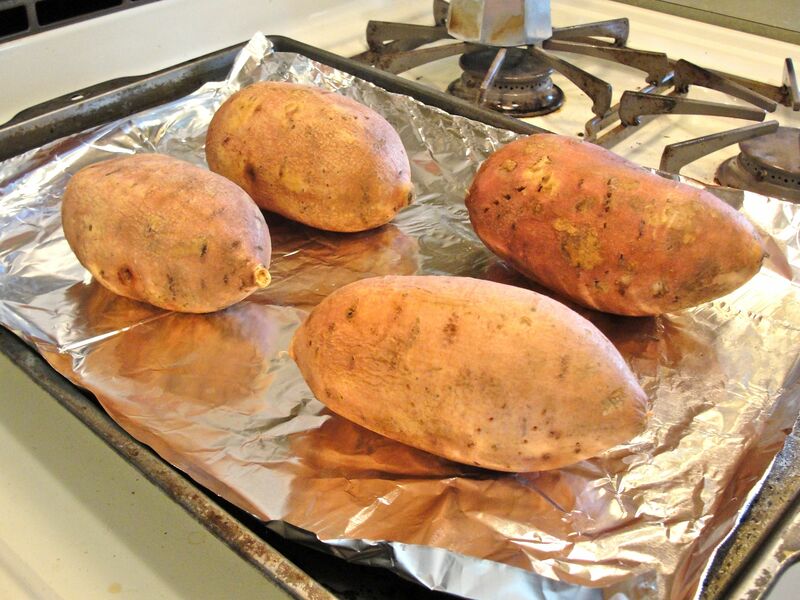 To prepare for baking, poke holes in the potatoes with a fork and place them on a foil on baking sheet or jelly roll pan; the foil will prevent burning and mess from the sugary syrup that may drip from them while baking. 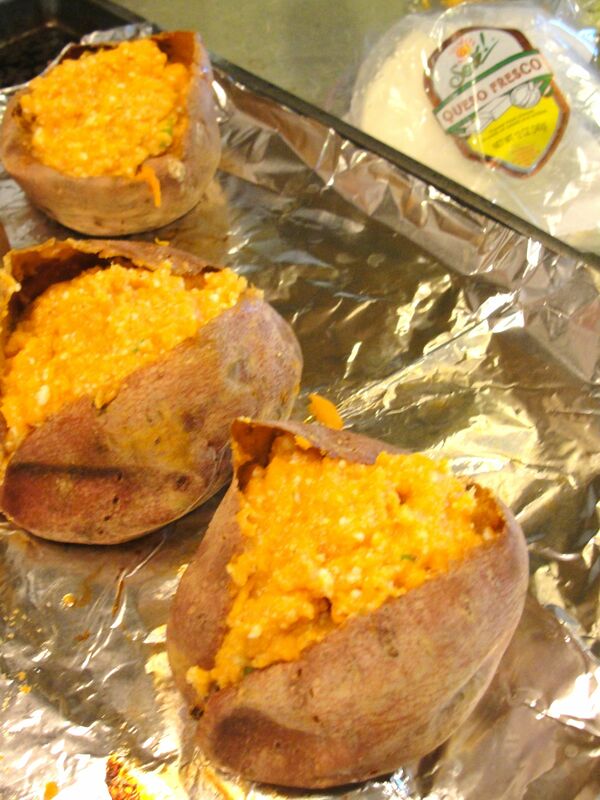 Bake the potatoes until tender, 1 hour or perhaps slightly more at 400°F. 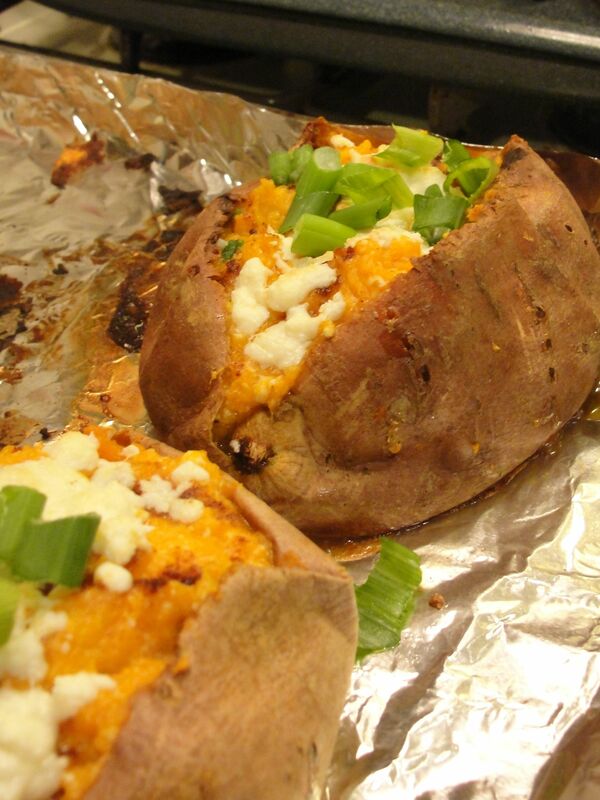 Once baked, allow the potatoes to cool somewhat, and carefully cut a slit in the top of each potato and use a spoon to scoop out the potato, being careful not to tear the potato skin. Carefully refill the potato skins with the potato filling. Top the potatoes with a sprinkle of paprika and a bit of crumbled queso fresco, and return to the oven to melt the cheese, and perhaps just slightly brown the potato tops. Remove from oven and top with scallion greens to serve these sweet and delicious potatoes, perhaps as I did with Peruvian Baked Chicken! This looks delish, love your blog…nice pics! Thanks for the tip! I think I figured out how to do that.